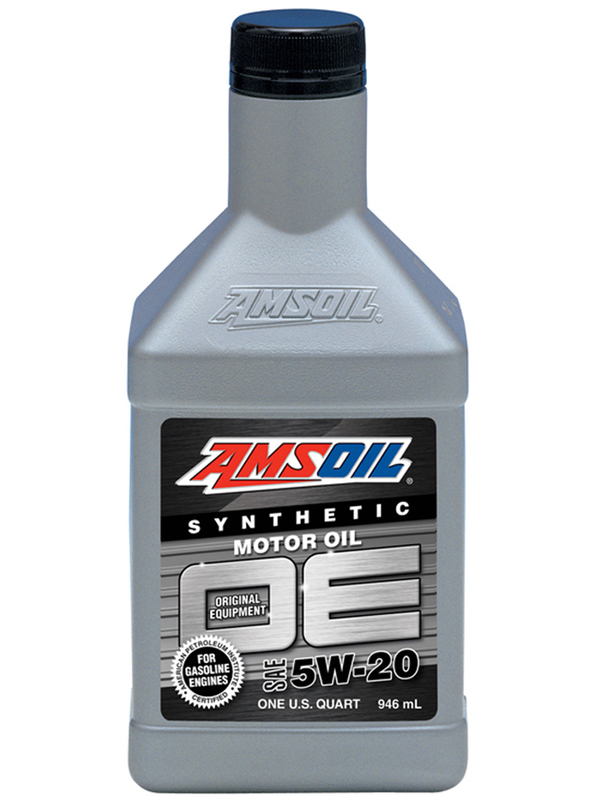 OE 5W-20 Synthetic Motor Oil Formulated for Excellent Engine Protection and Performance AMSOIL OE Synthetic Motor Oil is specially formulated for the longer oil change intervals recommended by vehicle manufacturers today. Its advanced synthetic technology resists chemical breakdown for maximum wear protection (and peace of mind) well beyond the traditional 3,000-mile oil change interval. 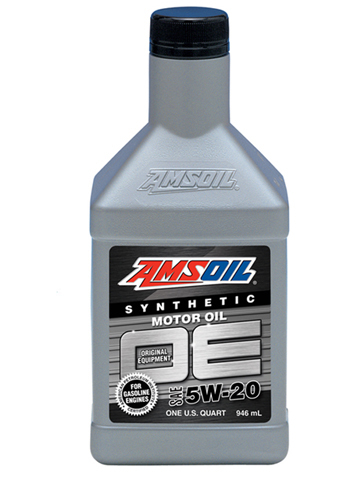 AMSOIL OE Synthetic Motor Oil helps provide better wear control, improved high- and low-temperature protection and increased fuel economy compared to conventional oils. The oil drain interval recommendations for many of today's vehicles extend well beyond the traditional 3,000-mile interval, especially when electronic oil monitoring systems are used. AMSOIL OE Oil provides excellent protection and performance for the entire length of the original equipment manufacturer's recommended drain interval. AMSOIL, the leader in automotive synthetic lubrication, produced the world's first API-qualified synthetic motor oil in 1972. Trust the extensive experience of AMSOIL, The First in Synthetics®, to do the best job protecting your engine.